Too often, those WordPress website users who are out to sell a product or service or promote a message underestimate the importance of a good dedicated landing page. 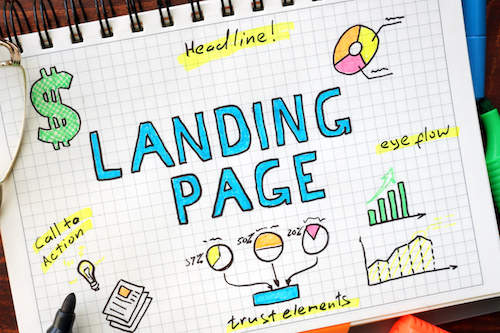 And what exactly is a landing page? In the simplest terms it’s a dedicated, standalone page designed for a specific marketing campaign or used to covert visitors to buyers and, hopefully, dedicated repeat customers. In even simpler terms, it’s any page of your site on which a user can “land,” as opposed to a page that isn’t indexed by search engines and therefore is classified as a “click-through” page. gives repeat visitors a nice sense of continuity when they land on your page—and build up an archive of new pages that can be deployed with a few clicks. That said, let’s look at four stellar landing page plugins—all mobile responsive out of the box—and what each has to offer the savvy WordPress-based business in terms of ease of use, flexibility and design options and capabilities. it, and adding modules is a snap. The plugin works with any theme (you can even switch your theme and the program will still allow you to create new landing pages at will). And if you decide to stop using it your content will revert nicely to the default editor. And for only $99 you can use it on an unlimited number of sites and enjoy one year of tech support. • Also very easy to use, Elementor comes with several great templates for lots of different uses, and the user interface is amazing thanks to the live editor feature. You can arrange your page into sections and/or columns, add modules for buttons, images, headers and sliders and even use widgets from other plugins. And the blank canvas template is perfect for those who want to truly build their page from scratch and come up with a wholly unique design and layout. For $49 per year you can to use it for a single site only and get tech support, but the amount of flexibility that comes at that price point definitely makes it worth checking out. experience, and at that price you can deploy it to as many websites as you like. • Lastly, OptimizePress is a wonderfully powerful plugin for not only landing pages by sale pages as well. Like the others it works with any WordPress theme, and each of the more than 30 built-in templates are designed to optimize visits and convert them to sales. Equipped with the standard design tool for editing (which may not be as intuitive as previously mentioned plugins), OptimizePress does connect beautifully to a nice handful of email marketing services and membership plugins designed especially for WordPress. And for $97 annually you can use it on three websites and receive the requisite one year of support and free updates.